The 2019 Women’s Conference, titled Women Rising Unite the Fight, featured t-shirts bearing the winning design of IAM Local Lodge 2797 President and Communicator, Roswita Hildebrandt. The design, featuring words of empowerment within a solidarity fist, was selected by a panel of independent judges. Roswita has been a union activist for 20 years. 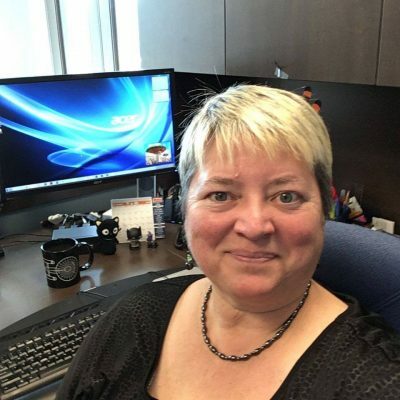 She began her union career as a member of the Nova Scotia Government & Employees Union (NSGEU), Local 77 while working for Dalhousie University as an administrative secretary in the Centre for Learning and Teaching. Roswita held positions on various committees and spent three two-year terms as president of the local. 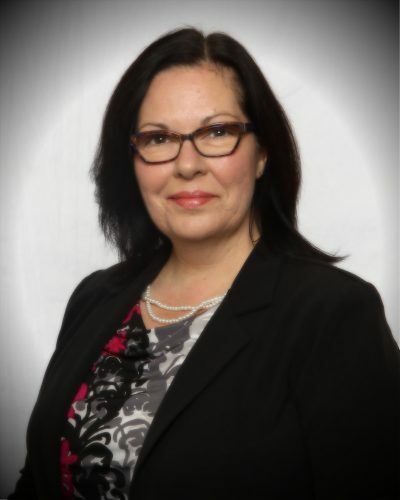 Currently, Roswita works for NSGEU and holds the position of communications secretary. The staff at the NSGEU joined the IAM in 2016. That same year Roswita was appointed Communicator of Local Lodge 2797. Roswita was elected Vice President of her local in 2017 and after the resignation of the President in January 2018, Roswita assumed the role. Her first action as president was to establish a women’s committee. The committee has been outstanding in their service to the local and the community.